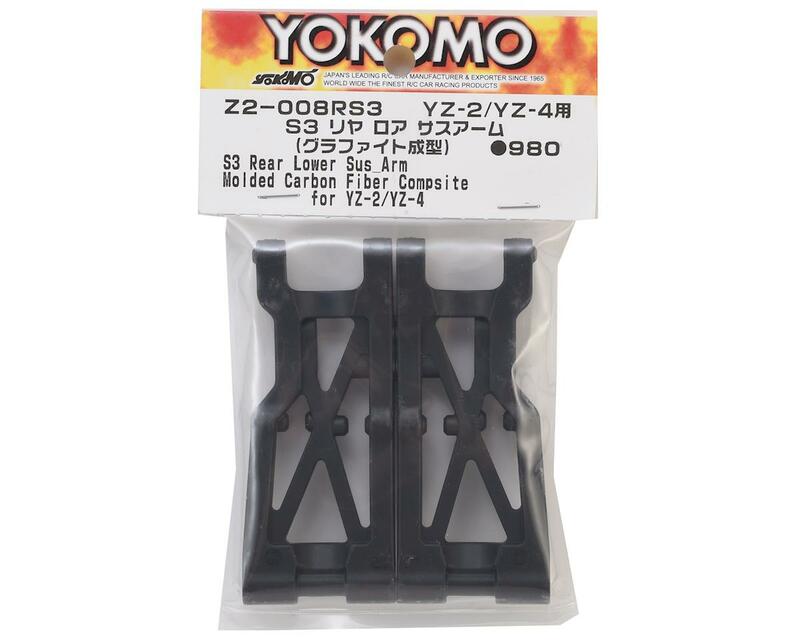 This is a pack of two Yokomo YZ-2/YZ-4 S3 Rear Lower Suspension Arms in Graphite molded material. This S3 arm is a short suspension arm between suspensions, demonstrating high traction on dirt roads and so on. 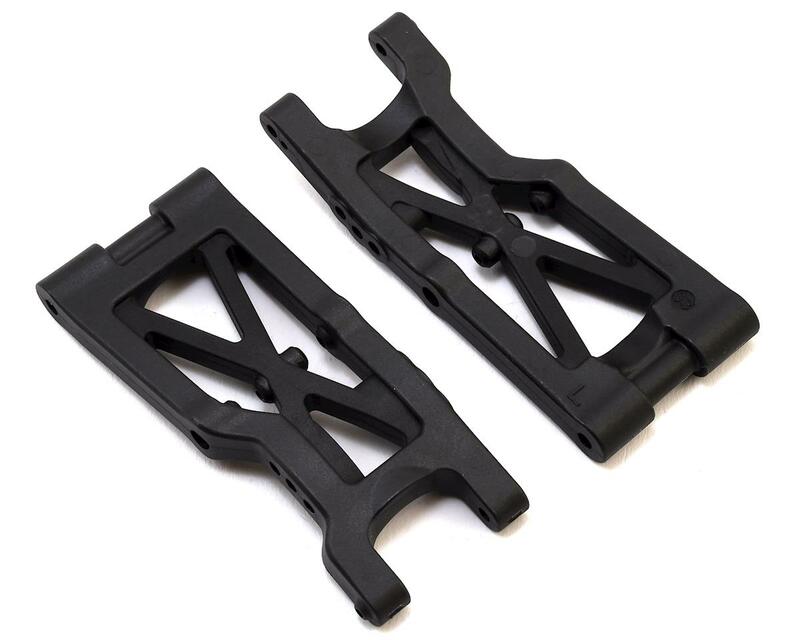 Using highly rigid graphite mixed resin, the kinematic performance and crash resistance are also high.